Mommy Delicious: Tristin and Tyler Take New York! Kourtney and Kim, watch out! There are another set of siblings (twin siblings) in town and they are giving you gals a run for your money. 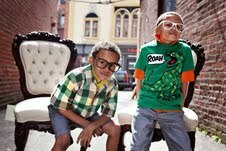 Tristin and Tyler may be small in stature, but that doesn't stop them from doing it big! 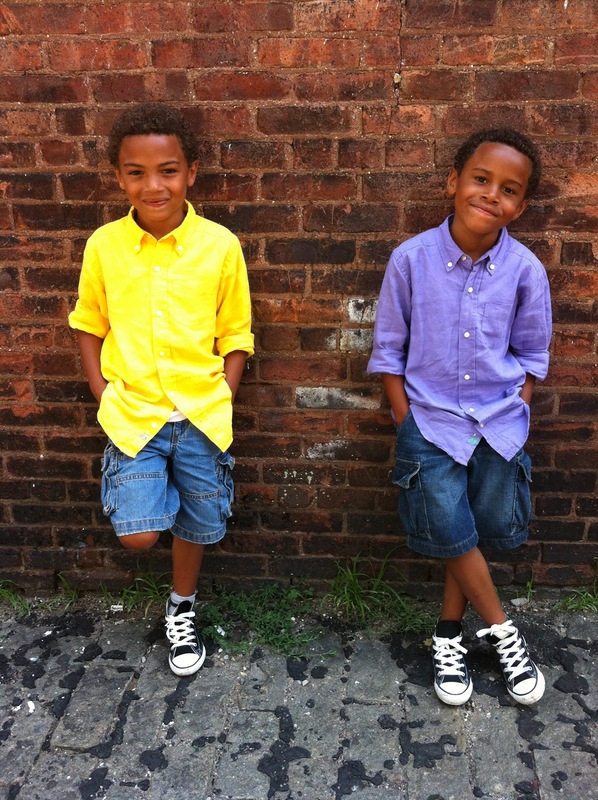 In their series, Tristin and Tyler's Tales from the City, these "green" school-aged boys are eagerly bouncing around the city, completing crafts, conducting interviews (sometimes with celebrities) and dishing about ways to save the earth. Pretty dope, right? 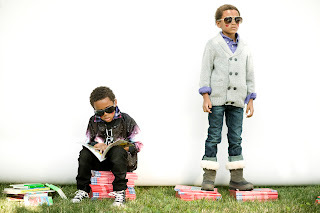 Managed by Tiffany's Toy Box, a company with a goal of creating appropriate and entertaining content for school-aged children, Tristin and Tyler's Tales from the City offers a range of "edu-tainment" for kids (and their parents). Your kids will be able to learn all about the latest "green" products (and from other children no less... amazing!). Plus, those of you in the NYC area will actually be able to participate in the exact activities that Tristin and Tyler (aka T&T) highlight, since, being the generous little guys that they are, they share the wealth and tell you all about the various hot spots that they visit. Leaves you speechless, right? I know. Me too. Check out their video series and visit their blog. They are seriously yummy! The cuteness is too much! How can you not love these twins! So cute and they share great info! This sounds sooo cute... and dope... and fresh. LOL. Thanks for sharing. These kids are so cool and mature for their age! This is really impressive. I just met Tiffany's Toy Box at the last Momtrends event. Cute photos! They are so adorable!!!! And so fashionable! Such cute little guys. I will take on their styles for my 3yr old. Love it.